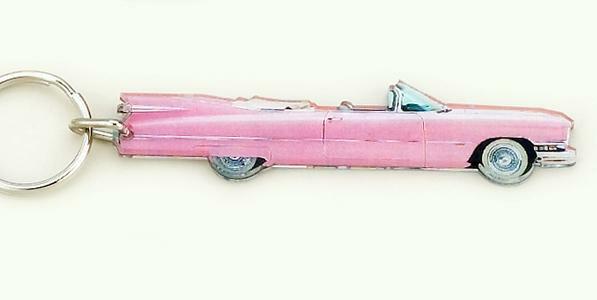 Vintage Style Pink Cadillac ornament, 2 inches long with mirror on the back. Attach a ribbon or ornament hook and this fun pink Caddy will make any Christmas Tree the life of the party. May also be used as a key-chain. Large quantities may take 2 weeks for delivery.